Comedy/Sci-Fi: In Angela Seehagen’s MAGIC CRAFT, a lonely space tourist aboard a vacation starship finds the last living plant. 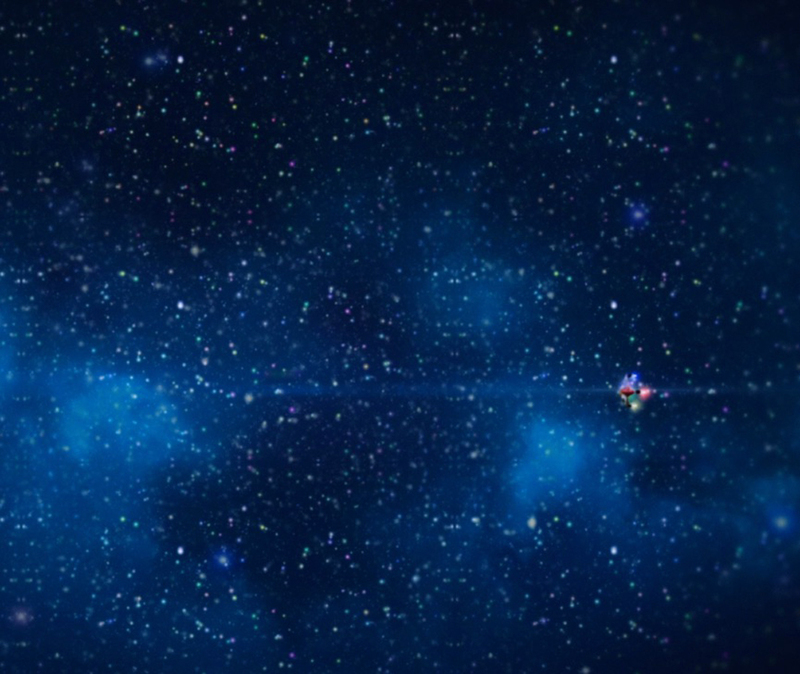 When suddenly sucked into a wormhole, the duo must survive the Rainbow Galaxy and find a way home. Length: 7 mins. 43 sec. When vacation starship MAGIC CRAFT is lost in deep space, can a tourist and her plant friend find their way home? 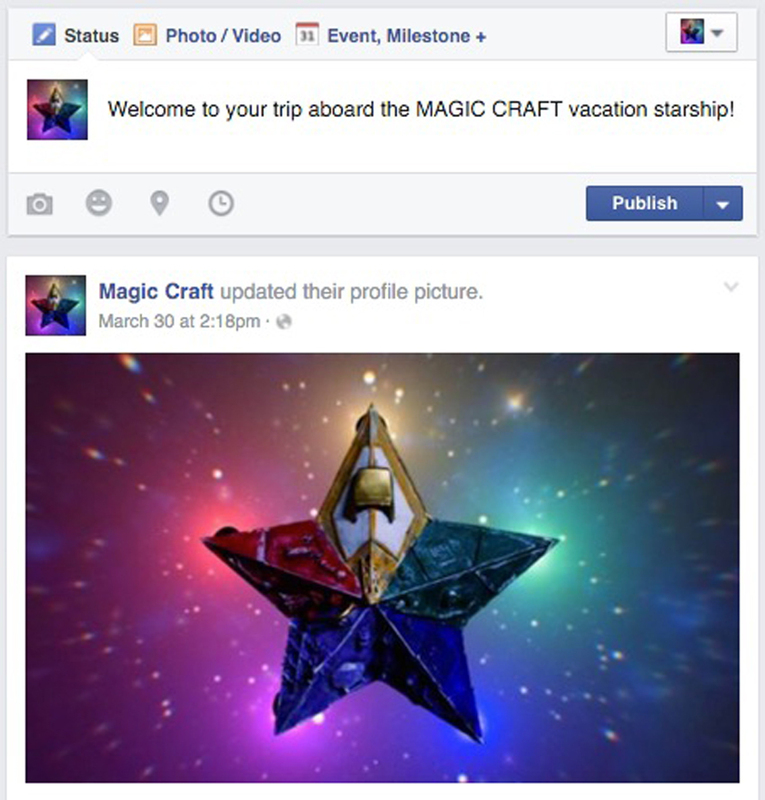 Tea spends another day as a space tourist aboard the Magic Craft vacation starship. She quit her job and spent her savings, eager to take this trip and be the ‘captain’ of her own adventure. Unfortunately, the auto-pilot-controlled space vacation is dreadfully boring and she's counting down days to her return to over-populated Earth. 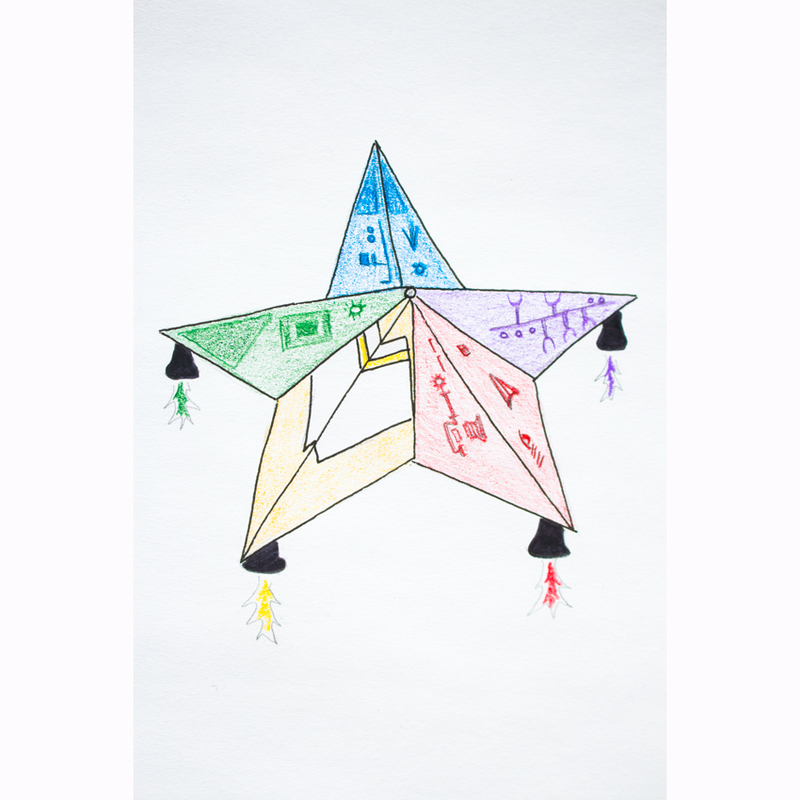 Suddenly, the ship warns of an object in the flight path. Tea disables auto-pilot, but the aged system and her inexperience leads to collision. Luckily, it's with a small, mysterious object only found in textbooks: a plant. After retrieving it, she learns that it's the last living specimen and plans to put it back in space, but Magic Craft enters a wormhole! 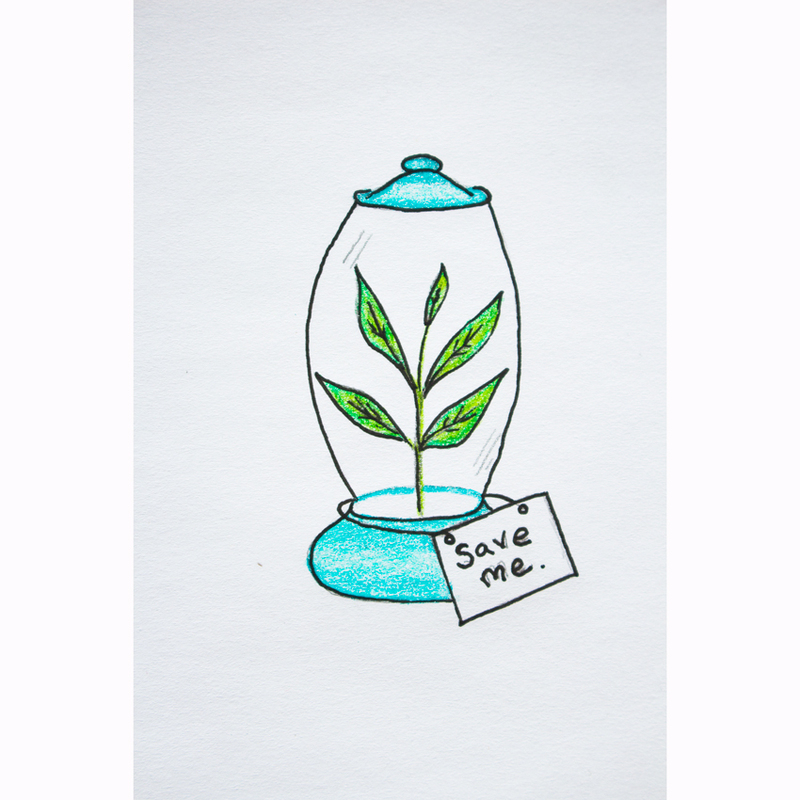 Now hopelessly lost, the terrified Tea must find a way home, and a safe place for her new friend. Our lovely dream team is ready to scheme up some powerful plans to make films quite supreme. Tea is a determined woman filled with curiosity and a longing for adventure. She values friendship and struggles with the isolation and loneliness found in space. Her journey will challenge her to grow from a tourist who dares-to-dream to a captain who dares-to-survive. Plant is a logical, rational, and brave pioneer. 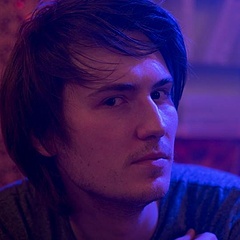 It is a an exceptionally quick learner and somewhat of a philosopher. It feels a sadness in association with being the last of it's kind. 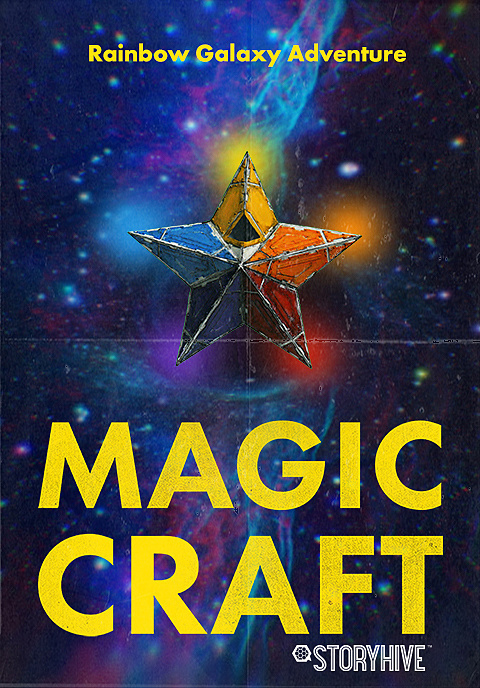 The colourful Magic Craft has comically bad timing and a habit of giving mixed messages. While it means well, it often puts passengers in danger. 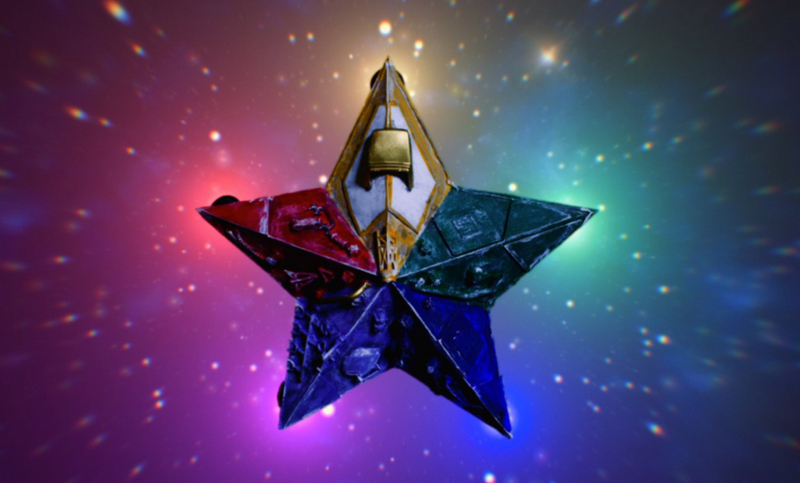 The ship has a positive outlook and promises great adventure, despite being well past its prime. 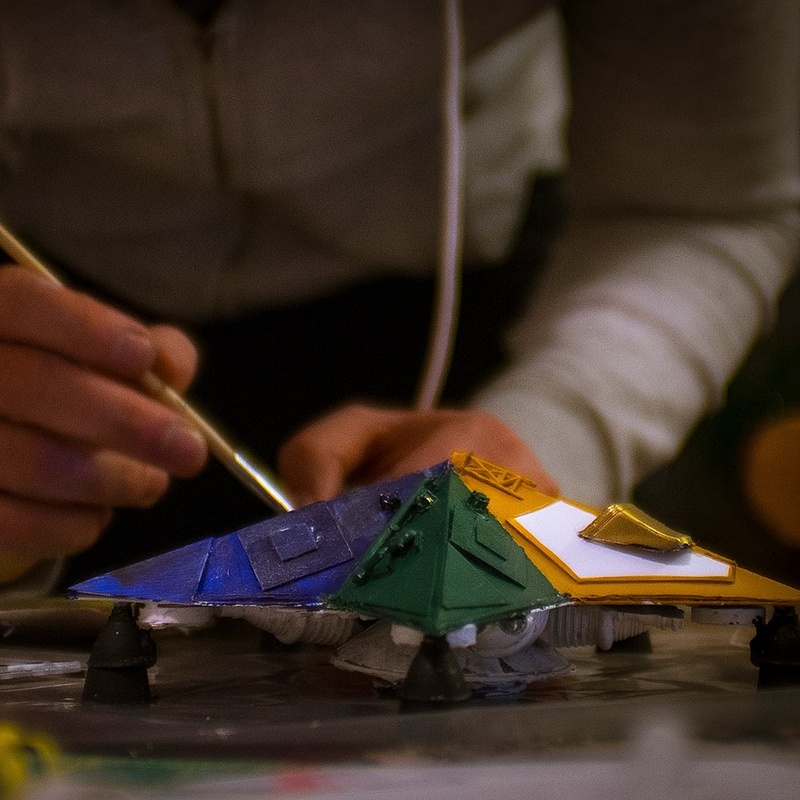 Miniature model construction provides us with an affordable way to travel through outer space. Focusing on small details and creative paintwork, our expert miniatures crew builds lifelike models to shoot on greenscreen. 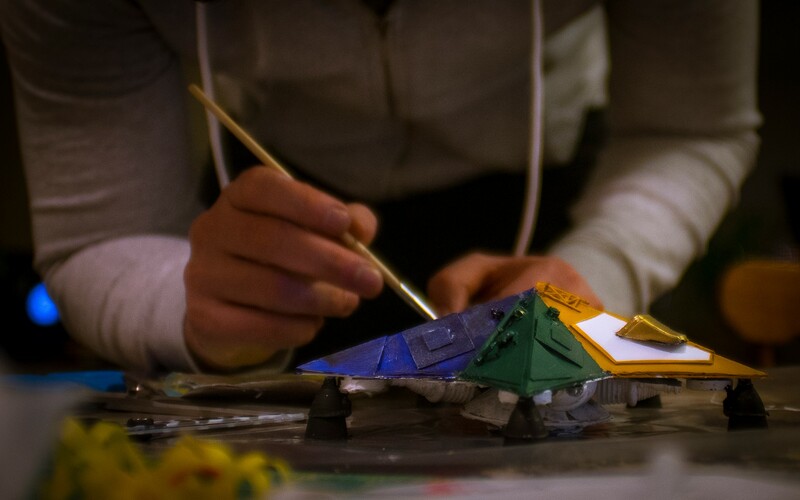 Here is a picture of our Magic Craft test model being 'antiqued' with white paint. 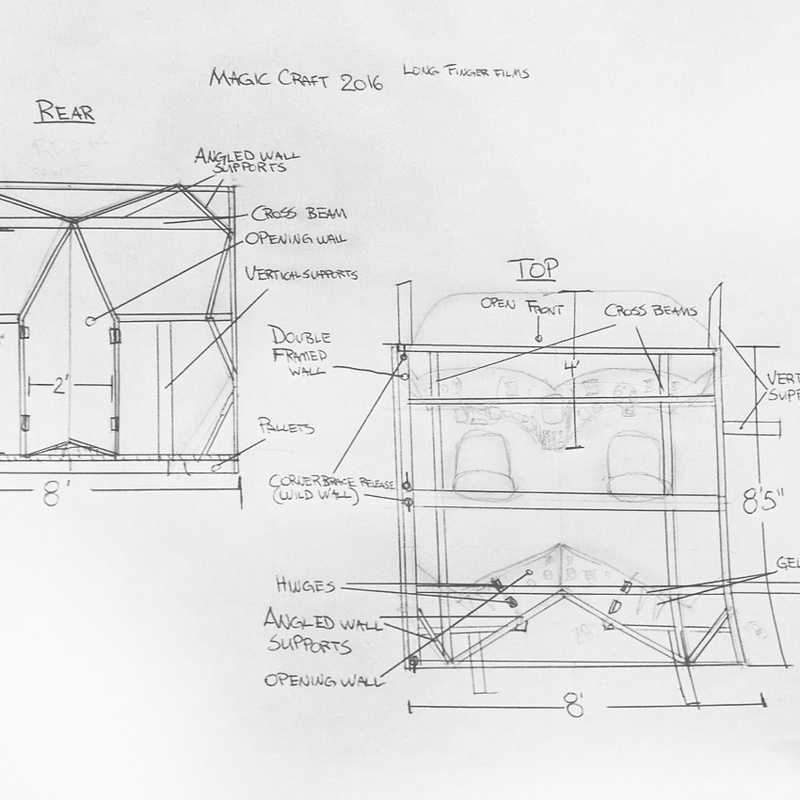 A large portion of the film will be shot within the Magic Craft cockpit, which means we can spend a lot of time creatively determining a design that will best reflect the ship's character and, of course, be functional. 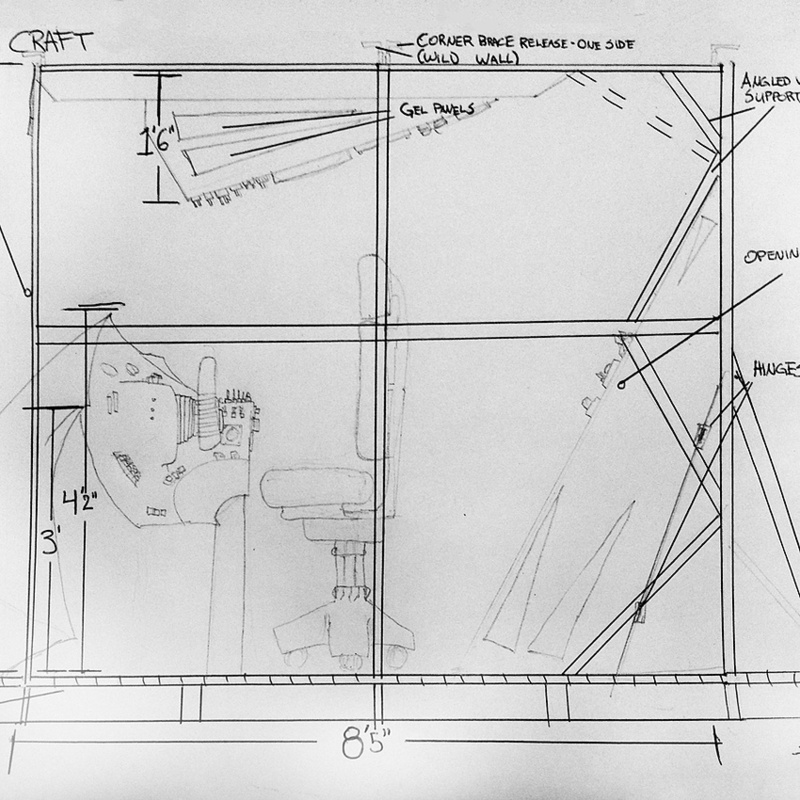 Shown here is a snapshot of initial creative cockpit sketches from the top and rear POV. 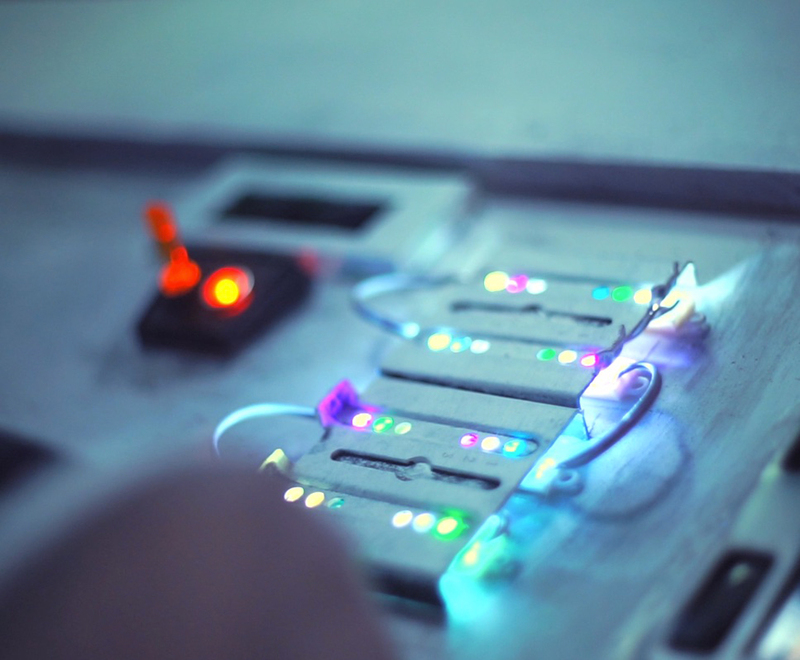 Practical DIY lighting will be incorporated in the design of the Magic Craft cockpit. This makes for quicker shooting, freedom of camera angles, and lots of fun looks. 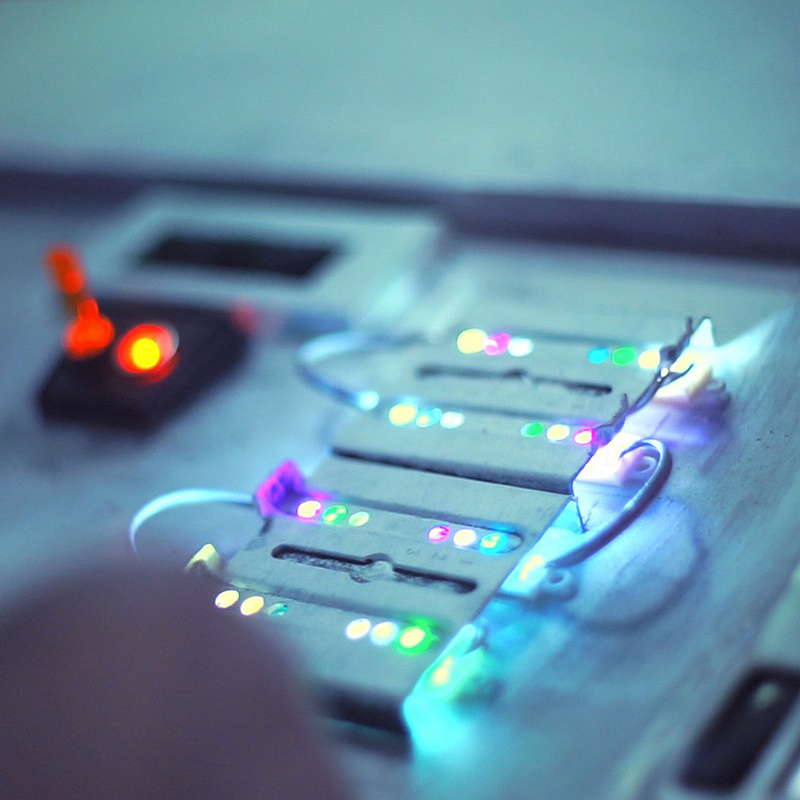 Here is an example of the lighting on the test footage console. While this console no longer exists, we will be constructing one with a similar feel. With imagination and some wicked post production skills, our team can create beautiful galaxies for the Magic Craft to travel through. 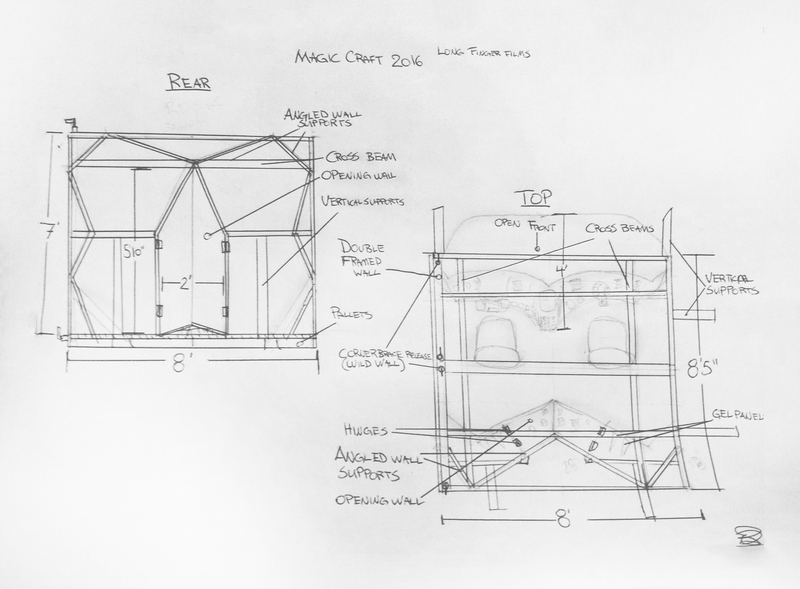 Here is a shot from our 2015 test footage of the Magic Craft flying towards the screen. 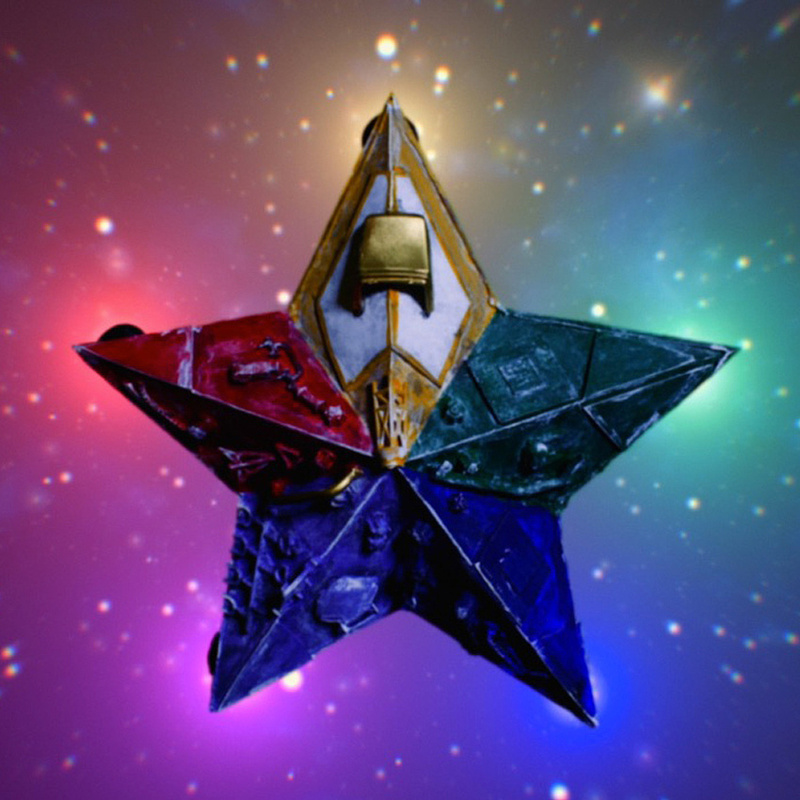 Part of the charm of the Magic Craft cockpit will be the small size. Designing a small space will challenge us to ensure each wall shows visual interest and fun angles. 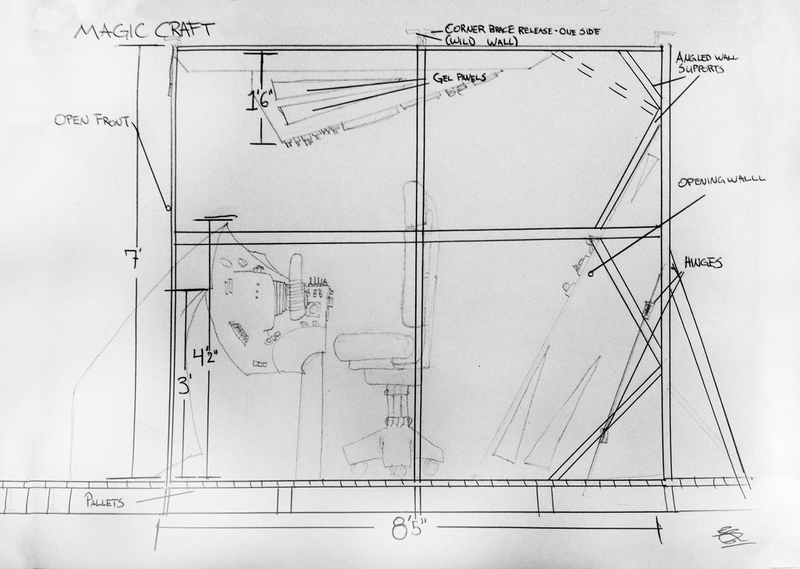 Here is a snapshot of an initial creative cockpit sketche from a side POV. We aim to create a stark contrast between the vastly open galaxy and the claustrophobically small ship interior. 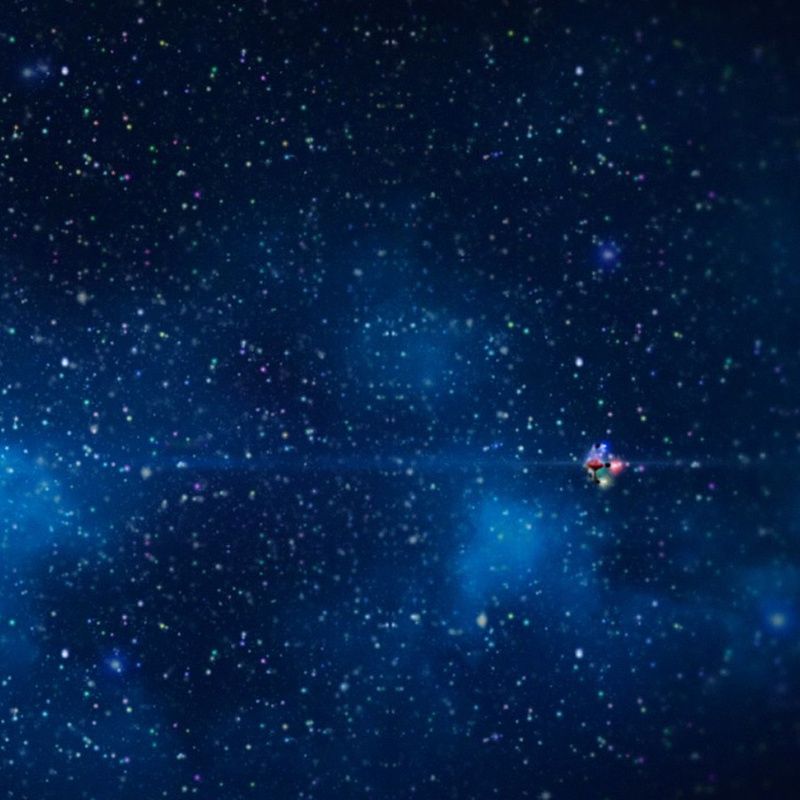 Here is a shot from our 2015 test footage showing the Magic Craft travelling through space. 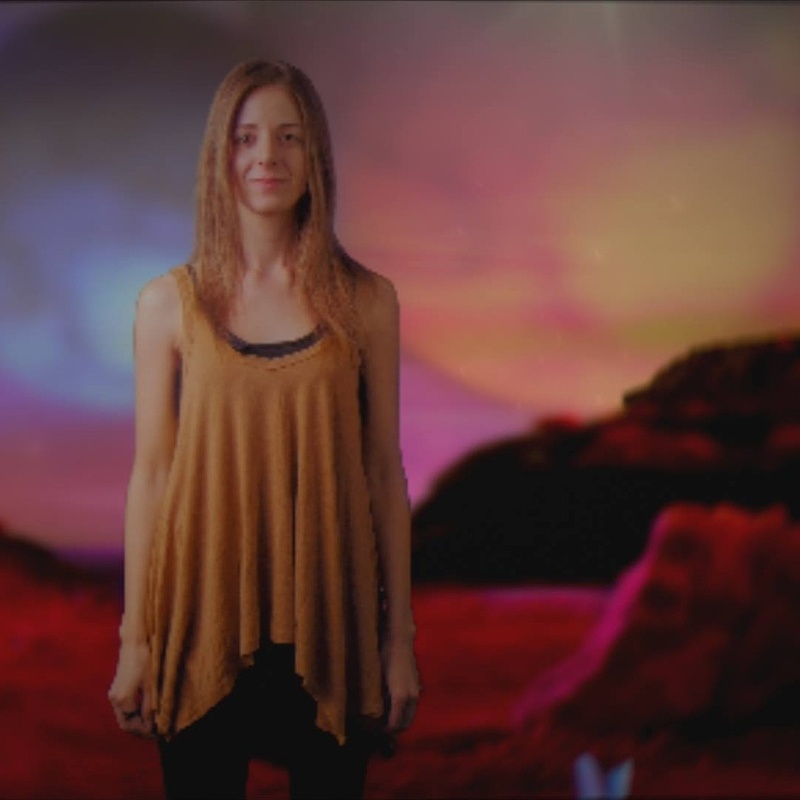 In later episodes we plan to build and explore planet surfaces using the same greenscreen and digital techniques as we use with miniature models. 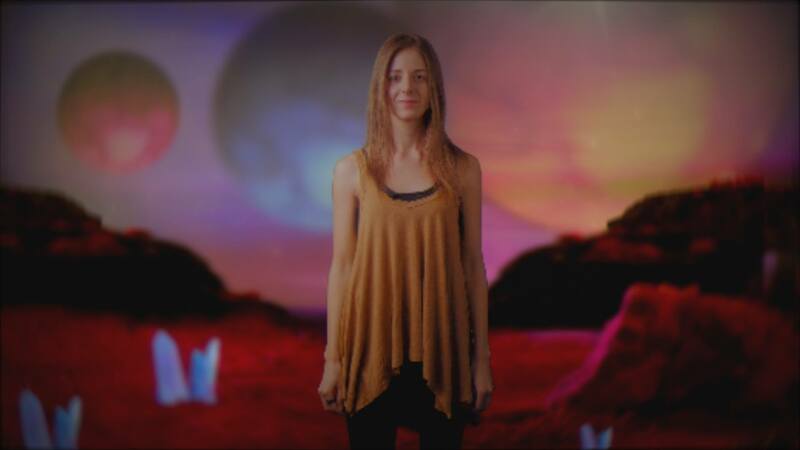 Here is a rough example of a greenscreen shot composited onto a virtual 3D planet environment. 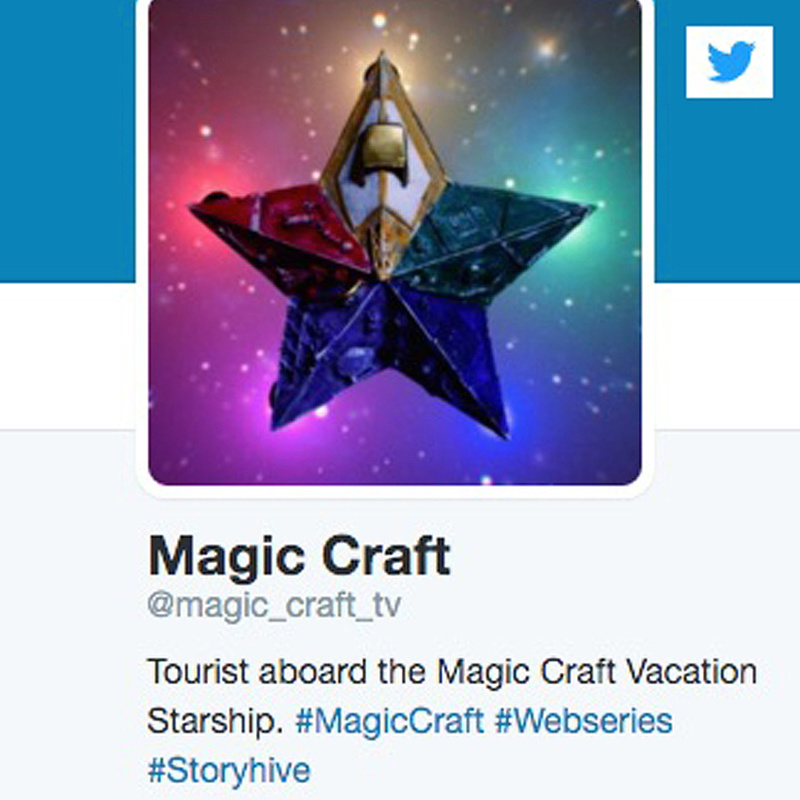 Our Magic Craft passenger, Tea, has a twitter account set up so she can share her space vacation experience. 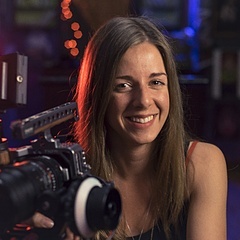 This provides an avenue for the community to interact with our story in a unique way. 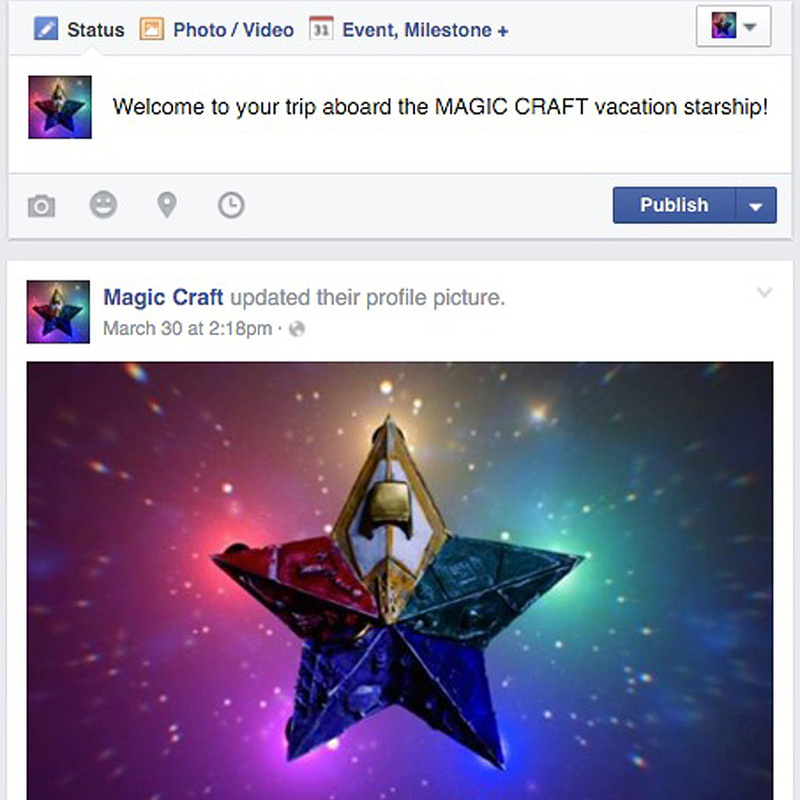 The Magic Craft Facebook page will be our main location for interacting with fans. 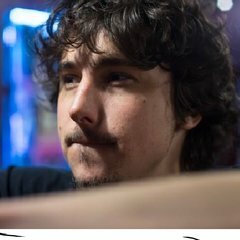 Here we can run contests, plan events, get feedback, and share stories from the production process. 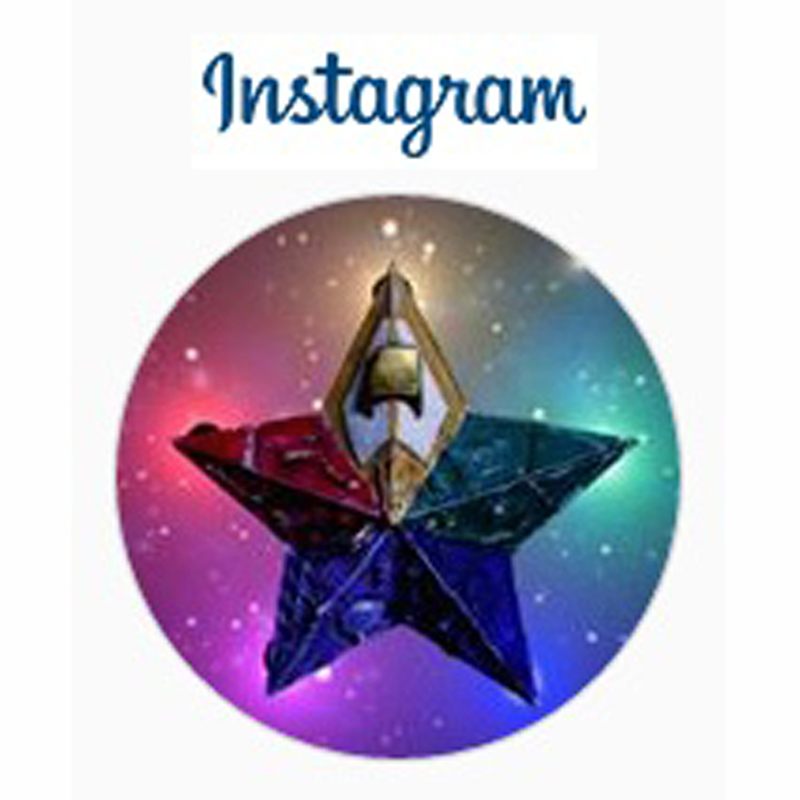 The Magic Craft Instagram account will give the community a behind-the-scenes tour of pre-production, set construction, make up, effects, and some amazing sites seen out the window of the Magic Craft starship. 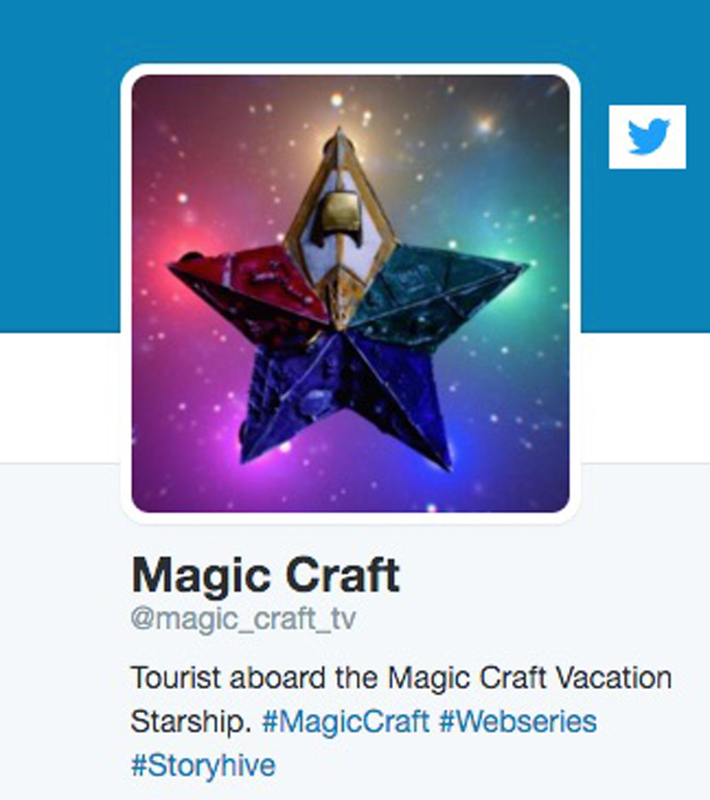 Follow magic_craft_tv for updates!